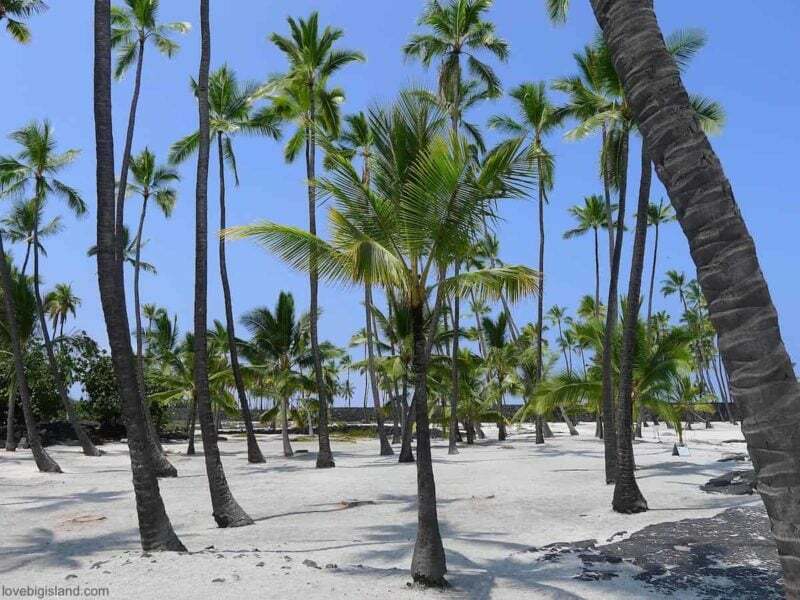 Because of all the things you can learn about Hawaiian history and culture whilst being in such a paradise-like national park. Did you know that you can find literally thousands of archaeological sites and features that span over 400 years in history within the park boundaries? 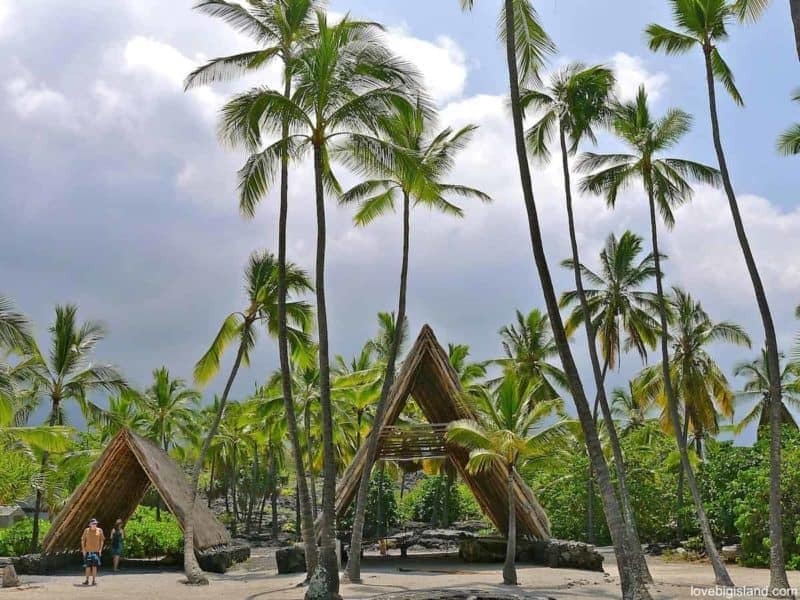 Because a visit to Pu’uhonua o Honaunau can be perfectly fitted into our favorite Big Island road trip which also takes you to one of the best snorkeling places on the Big Island (two step), the picturesque painted church and through a whole lot of lush Kona Coffee country. 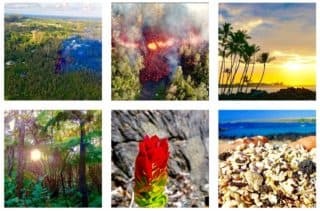 If you are visiting this park and also plan to visit the Hawaii Volcanoes National Park we recommend that you buy the Hawai‘i Tri-Park Pass ($30.00 in 2017). This pass allows access for 1 full year from date of first use at Hawai‘i Volcanoes National Park, Pu‘uhonua o Hōnaunau National Historical Park, and Haleakalā National Park (on Maui). 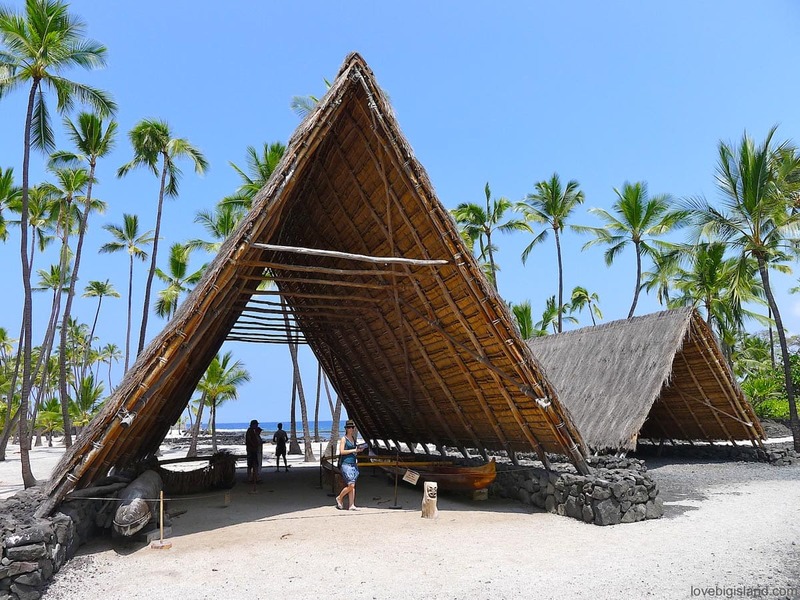 To give you a feel of what a paradise the Pu’uhonua o Honaunau National Park is, we show you some of our favorite pictures. More information on the official park website. The Hale o Keawe is located at the northern end of the eastern wing of the Great Wall in the park. 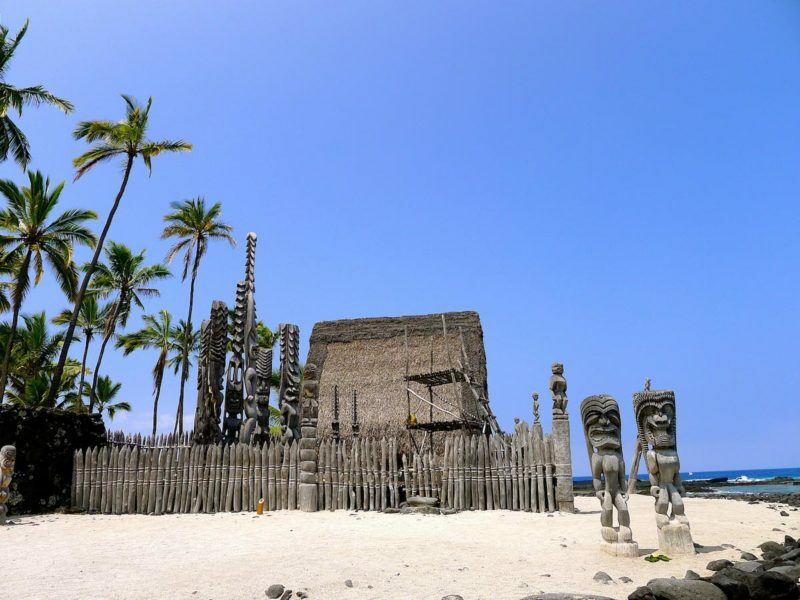 In ancient times the Heiau served as a royal mausoleum, housing the remains of deified high chiefs.